Winter driving can be treacherous, so make sure your vehicle is in good condition to reduce your chances of a breakdown or accident. It’s the most wonderful time of the year, as well as the most dangerous. 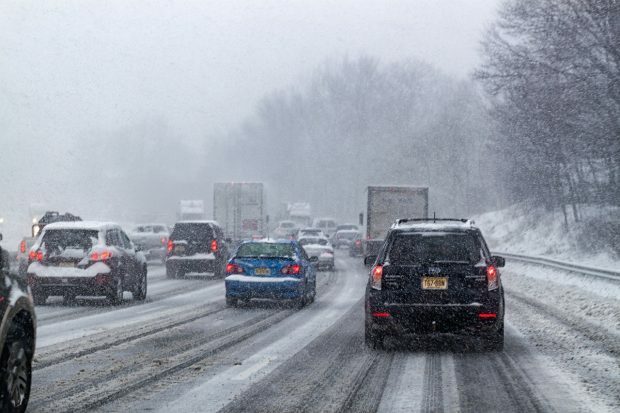 Winter traveling is hectic, and the holidays can make it worse. Millions of people are expected to travel this year. Getting caught in a storm or spinning out on the freeway is no fun. By following these simple tips, you can become a smarter and safer driver. Make sure your engine is ready for the winter. Check your windshield wiper blades, windshield washer, battery, and tire pressure. Now is the time to take care of them before the weather gets worse. The sooner the better. The kit should include jumper cables, ice scraper, a small shovel, flashlights, blankets, paper towels, water, snacks, backup clothing, basic tools, and a portable phone charger. Be prepared for busy roads and have an alternative route in mind. Avoid rush hours and have alerts for heavy or dangerous traffic conditions. Before planning your trips, check the weather. Not just the weather at your home but through the cities you might pass. It only takes a few minutes to check a weather app or a news site. Kids can be distracting on the road. For this reason, it’s nice to have books, games, or videos prepared to keep them from distracting the driver. Kids also need snacks and will require frequent stops. If you’re driving with someone else, switch every two hours. This will allow whoever is behind the wheel to be alert while on the road. Have an extra tank of gas in case a storm hits or an accident happens, causing traffic to come to a complete stop. A car running for those minutes or hours can quickly waste more gas than imagined, and the back-up tank will come in handy if you need to make it to the next pump.